Welcome Home to this sprawling 1+ Story. Enjoy 5 Bedrooms, 4 Bathrooms and 3 Fireplaces. Main floor has Hardwood Floors, Living, Family, Office, 3 Bedrooms along with Large Kitchen having nook sitting. Don't miss Owner's Suite upstairs or possible Mother in Law lower level (has second kitchen). Newer Appliances, Paint, Carpet, Heating system, Landscaping already done. Backyard has Patio ready for summer grilling, Storage Shed & Fenced yard. 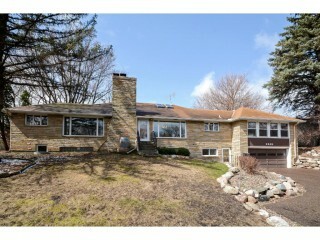 Easy commute to HWY's- This could be yours!